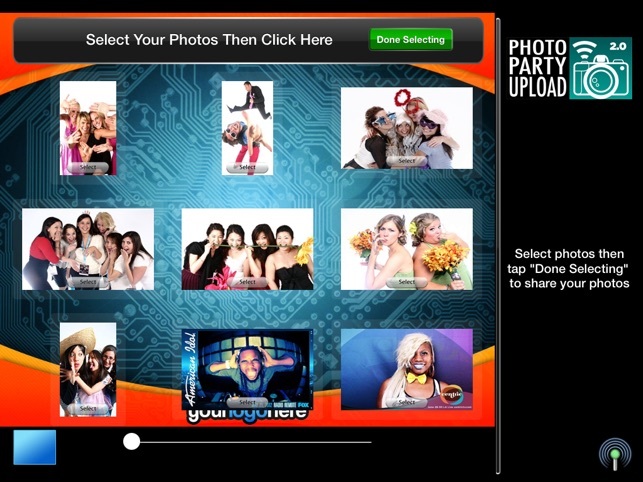 Photo Party Upload is the premiere ipad based solution for event photographers and the marketing industry. The first of its kind, Photo Party Upload allows event photographers to wirelessly transfer photos from their camera to their ipad. 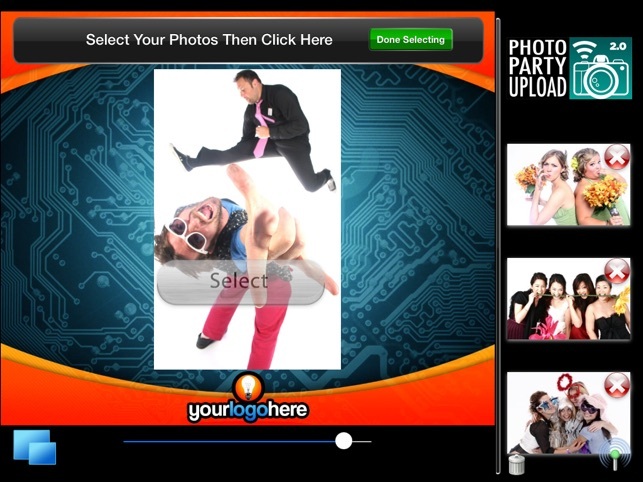 Guests can then seamlessly upload branded photos from the ipad to Facebook, Twitter, SMS or email making Photo Party Upload the crucial tool for experiential marketing and events! Fix for Facebook shares not appearing in Event Data. If you're an event Photographer, this software is a MUST-HAVE! This is an easy up-sell to clients, and adds an incredibly valuable service to your business with a very minimal investment. Guests love it because they can share their photos immediately, before interest fades. Clients love it because you facilitate a great return on their investment by spreading awareness of the event and their brand through the social media outlets. 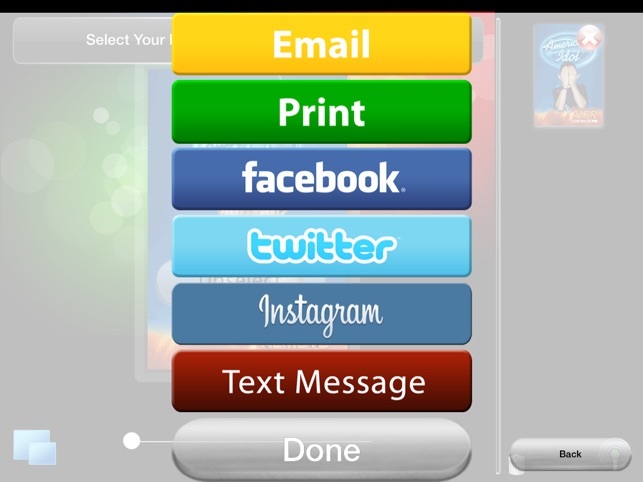 You love it because not only can you charge your client for it, but you can also set it up to charge guests for sharing and/or printing the images. If you're running an onsite-print operation, you can eliminate the need for a Technician by allowing guests to select and print their own images via the print feature. I've used PPU for over a year now, and each update of the software adds more stability and more super helpful features. It's worth mentioning that you can also brand the user interface and the photos with your own (or a client's) logo to put the cherry on top. This is, by far, the easiest, cheapest, and most effective way of integrating social media adding guest interaction into event photography today. Photo Party Upload is by far the best app to use with my Photo Booth when i want to do social media sharing or emailing! 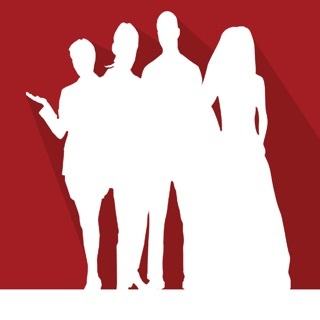 I've been using this app for quite a while now and my guests LOVE it! They are amazed that they can post their pictures in real time right to their social media page. Have I mentioned how amazing the customer service is? Kudos to Brian for being by far the best at helping you anytime you have a question. I've emailed him a few times and within 20 mins max he's responded back with a return email and even a phone call! He's never too busy to answer my questions! This is a must to download if you are a Photographer or Photo Booth owner! Even if your not, its still amazing to use! 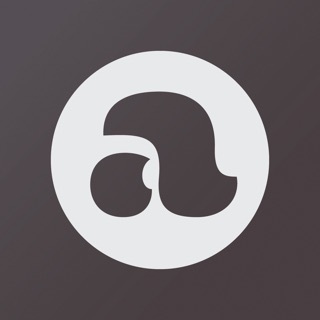 Thanks PPU for putting out a fantastic app! Cant say enough great things about you and your customer service! Today companies are all about finding new ways to get exposure through social media. This program enables us to use photography as a "tool" to capture data, drive traffic to our clients Facebook sites, and brand their product, message, and company through social media outlets such as Facebook, Twitter, and Email. 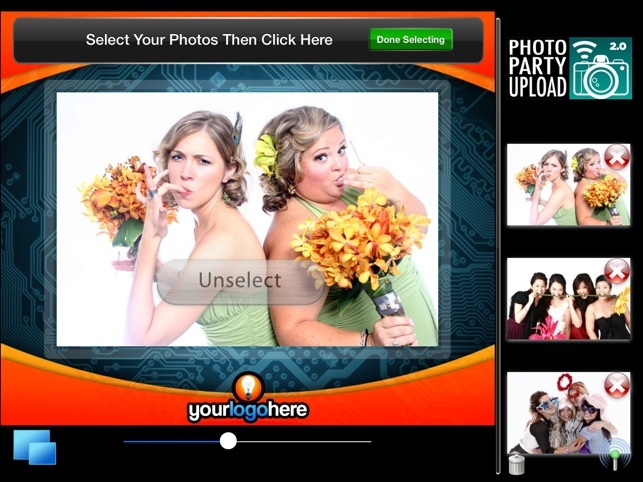 We also offer the program for our photo booths and non corporate clients, it allows the guests to immediately interact with their image on the ipad(s) and upload to their favorite social site. As a event photography company with 60% corporate based clients, this fit into our companies profile perfectly, it was exactly what we were looking for!